With over 15 years of experience, Millo Kitchen and Bath has transformed many dream kitchens into reality. From conception to execution, we take our clients through every step of the way. Whether your style is more traditional or contemporary, we will work with your design preferences to create the kitchen you've always wanted. We custom manufacture your kitchen cabinets to fit your space perfectly. We offer a vast selection of colours and matching crown moldings, beautiful finishes and a vast array of fixtures to create the look you're after. We specialize in complete custom kitchen remodels from beginning to end, starting with a kitchen design plan that includes custom cabinets and kitchen countertops based on your style, budget & material choice - solid wood or MDF custom kitchen cabinetry. We also manufacture and install your new kitchen cabinets as well as provide backsplash tiling services and full lighting solutions. Whether you're looking for a unique nook or space to organize your specialty items or simply want to enhance your décor with a "one of a kind" design, your vision is our goal and we will design your kitchen to reflect your taste every time. Custom kitchens don't have to break the bank (click here to learn how much custom kitchen cabinets cost), and based on your kitchen renovation budget, we work with you to help you turn your dream kitchen into a reality. Click here to visit our gallery for more photos of our work. At Millo Kitchen and Bath, we know renovation is a daunting task so we have simplified the process so your experience will be as smooth and pleasant as can be. We are here for you in every step to assist and answer any questions you have. 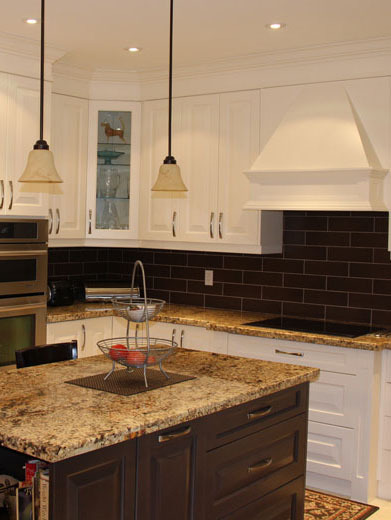 Our goal is to produce quality made custom kitchens and satisfied customers. 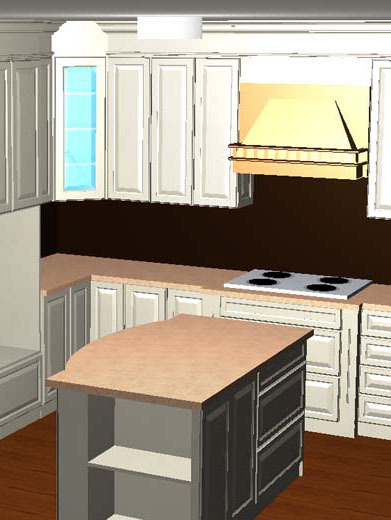 In general, renovating a kitchen with custom cabinetry requires planning and manufacturing. From measuring and ordering the custom cabinets (around 2 – 4 weeks to complete) to finishing the kitchen project (around 6 – 8 weeks to install), the whole kitchen renovation process will take around 8 - 12 weeks. Contact us and one of our representatives will schedule a free design consultation and provide a no obligation estimate. 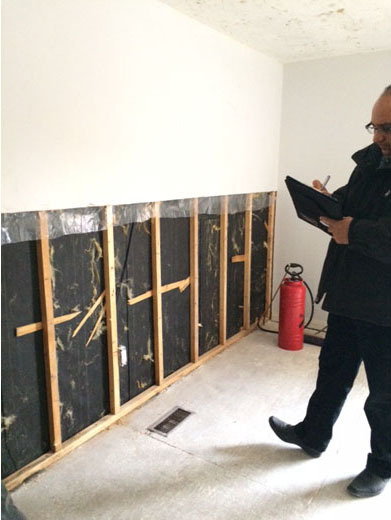 Our consultant will discuss your ideas and preferences (traditional or contemporary) and answer any questions you may have about your kitchen renovation project. To get a head start on planning your kitchen, begin considering the list of choices you have to make. Based on the information we have gathered during the initial design consultation, we will generate a 3D drawing of our design proposal that incorporates your wants and needs. A second meeting will be conducted in our showroom for us to present our design plan. Selection of door styles, colours and accessories will take place during this meeting as well as any change requests. Once you approve the design plan and a deposit towards the renovation project is collected, we will start to manufacture the custom cabinets based on the final drawing. 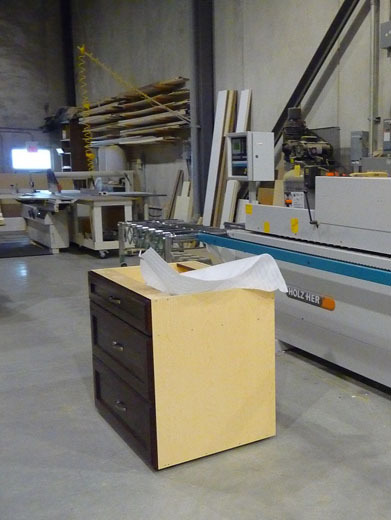 Since everything is made to order and we make sure your custom cabinets are of high quality, it takes around 6 to 8 weeks from order date to complete. When your kitchen cabinets and materials are ready, we will install your custom units quickly and carefully. Any additional services as specified in the scope of the work (i.e. drywalling, tiling etc.) will also be completed in this step. Upon completion, our crew will clean up the project area for you to enjoy your brand new dream kitchen.